“Water Finds A Way” is an artist collaboration between Southern California based ART from the ashes/AFTA Productions and local artists Christian Ghantous & William Stranger. This temporary installation reflects the intersection of water, art and community. 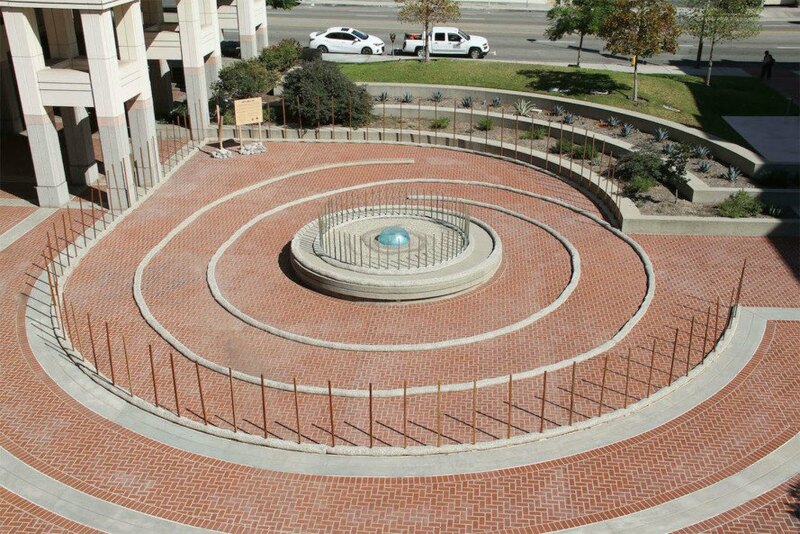 The labyrinth design is created using organic, reclaimed and solar powered elements all of which are directly or symbolically related to water. The spiral pattern of the labyrinth symbolizes our cyclical journey through this world, “this mortal coil”. Walking its path our perspective is constantly changing, the destination is not the focus but rather a connection to the source. A hand-carved rainstick along its path prompts further interaction from walkers. With California in the midst of one of the most severe droughts on record, “Water Finds A Way” provides a contemplative avenue for the community to reflect on water conservation and their relationship with this precious resource. "Water Finds A Way" is an artist collaboration between Southern California based ART from the ashes/AFTA Productions and local artists Christian Ghantous & William Stranger.